You have one of these? People forget this guy kills cats. Yo Mike, Iâll mess with you on instagram, but $7.99 a month is a bit much for the podcast. Good luck keeping your listeners, cause your not that good Duke. Your entertaining on a free stage, but not $7.99 A month Duke. Put some ice on your swelling head!! Best podcast in the game!!! Love it!!! Always captures my ears and so great to listen as if I was sitting next to Michael Rap!! Troll this guy. He is a fraud and a worthless hack. Show is fine until he goes WAY left wing on politics. Your favorite podcasters favorite podcaster. Pound for pound, the greatest of all time. Rap gets it done and is highly entertaining. 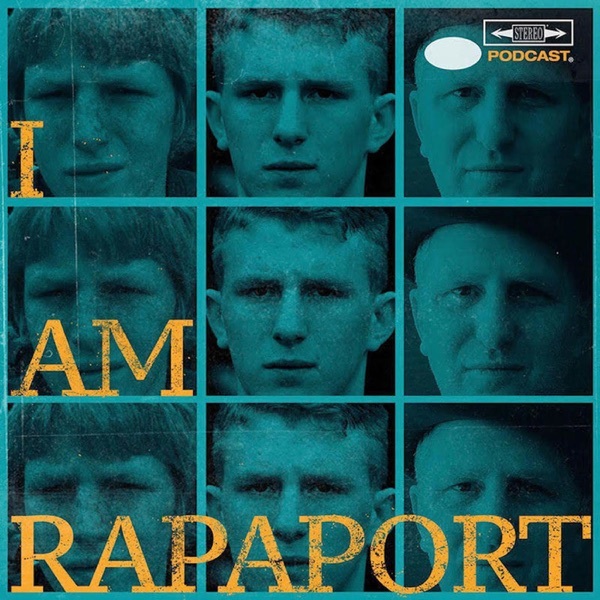 His wild rants, smack talking abilities and angry outbursts are just a few of the things that make the Michael Rapaport stereo podcast a top tier show. YO white mike is great , all you haters need not apply !! Michael Rapaport, dope podcast 5 stars!!!! This is a guy who is funny for 10 minutes on first take. Outside of that, eh. Mike tells it like it is and Iâve been a fan of this podcast for a month or so, loving the danny aiello imitation, the Willie hutch, all of it...but I have to say that this mike Tyson special interview is the best thing Iâve heard. I listen to pmt regularly and this is now a must listen for me. The adam silver discussion by mike on depression was great too. Love this guy! Speaks the truth!! !ððlove his housewives knowledge and just blunt honesty!! If you get in your feels and canât take a joke itâs not for you. Incoherent ramblings of an unstable idiot at best. I used to rock with mike like hard body Karate but ever since Moody left show hasnât been the same to be honest. Itâs missing something. Love this!!! Honest and real. Michael Rapaport is hilarious!!! You either love him or hate him, but he is always entertaining! This guy is a clown!! His takes are awful and 99% of the time makes ZERO sense. I honestly have no clue how this guy has sponsors and honestly have lost respect for the companies that do sponsor him. Throw this whole podcast in the garbage and get better content. Fire him!! I loved this podcast. The content it brought (with regular features by the âYoung Shooterâ aka Dean Collins) were entertaining with a âidgafâ attitude, rough, rugged, and raw. Was comedic relief, with good insight and perspective from sports to pop culture. With an INVALUABLE Co-host like Gerald Moody aka GMoody aka GMoneti. And there had been stories told on the podcast regarding Mike Rapâs reputation as a âdivaâ when it came to his podcast, or real life meetings etc with movie directors or friends, etc. But never in a million years would I expect that his ego and pride would allow himself to lose a guy like GMoody from his podcast, a guy who, by his own admission, had been rocking with him, since the late 80âs. I am disappointed, and the content quality has suffered. Sure, itâs still solid. But nowhere near the quality as before. Rap loves to bash LeBron in the treatment of Kyrie during those Cleveland years, and never giving the man his respect, for playing his part in the championship THEY brought to Cleveland. Yet, oblivious or stubbornness, refused GMoody that same respect, thus allowing the separation. The Donovan McNabb of Podcasting. The LeBron James Of Podcasting. The Jack Nicholson in âAs Good As It Getsâ Of Podcasting. Michael Rapaport. Funny guy, great actor, worth the 50 minutes of listening because this man is hilarious.